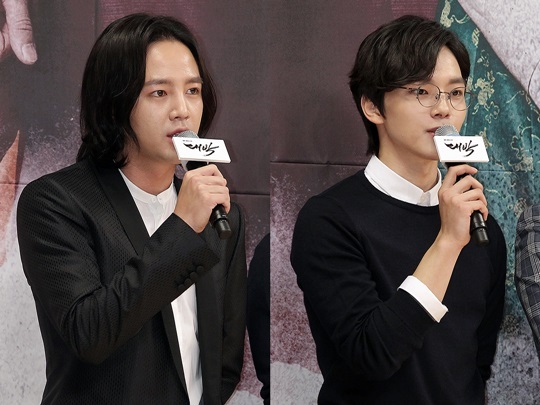 Jang Geun Suk told that he did not feel any big age gap when working with Yeo Jin Gu. On March 24th, press conference for new SBS drama ‘Jackpot’ was held at SBS broadcast station in Mok-dong, Seoul, and Jang Geun Suk attended the event with Yeo Jin Gu, Lim Ji Yeon, Jeon Gwang Ryeol, Choi Min Soo, and Yoon Jin Seo. Meanwhile, ‘Jackpot’ is going to evolve around a forgotten prince of Joseon and his younger brother, who later becomes King Youngjo of Joseon. The drama will premiere on March 28th at 10 PM.